Bring the power of ORMI Registered Organic materials in your grow today, with SaferGro certified Organic Products. 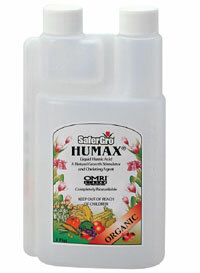 All natural Humax is concentrated liquid humic acid, considered to be the “Black Gold” of agriculture, is extracted from organic leonardite. Listed with The Organic Materials Review Institute. 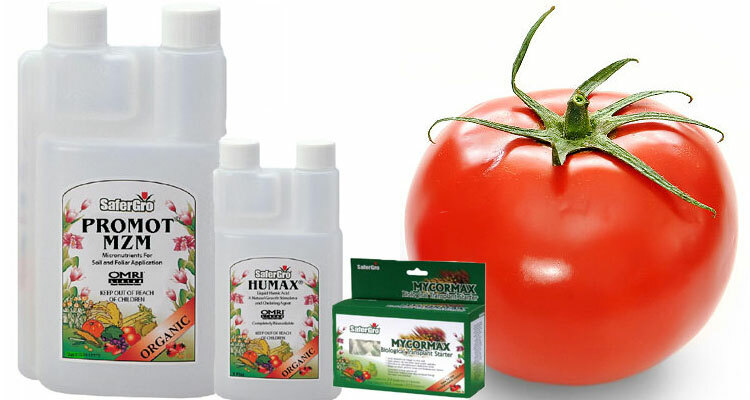 Mildew Cure is an all natural botanical fungicide that provides excellent control of powdery mildew in hydroponic grow spaces, tents and greenhouses. pH Down 1 Pt./16 Oz. 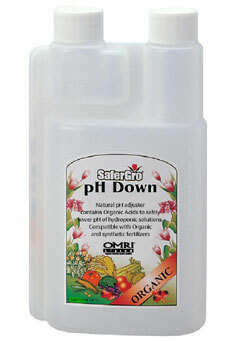 pH Down is a natural way to lower the pH of hydroponics solutions and other fertilizer applications. 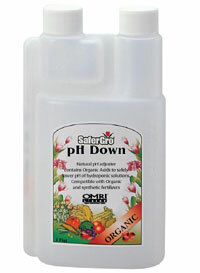 The organic acids in pH Down gently lowers the pH of water, making nutrients more available and increasing uptake. pH Down 1 Qt./32 Oz. Phosphorus availability is key in obtaining optium growth of flowers, bud and fruit. 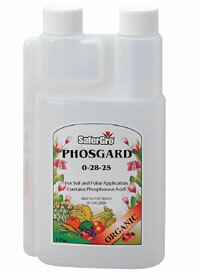 Phosgard is derived from phosphoric acid, unlike traditional phosphorus fertilizers that are derived from phosphoric acid.